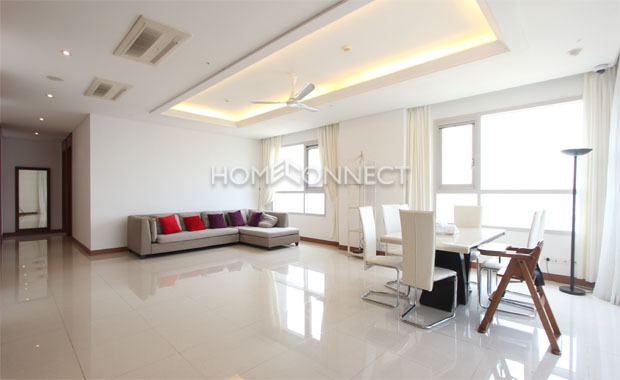 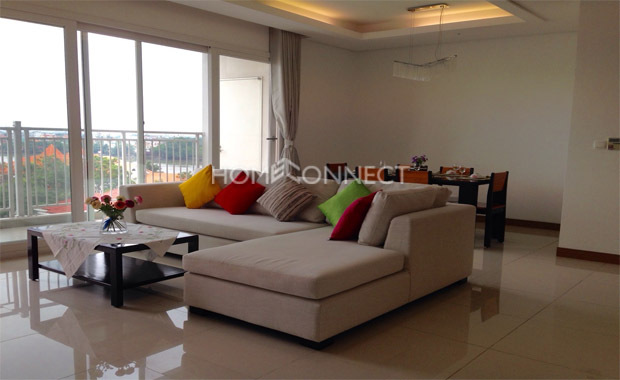 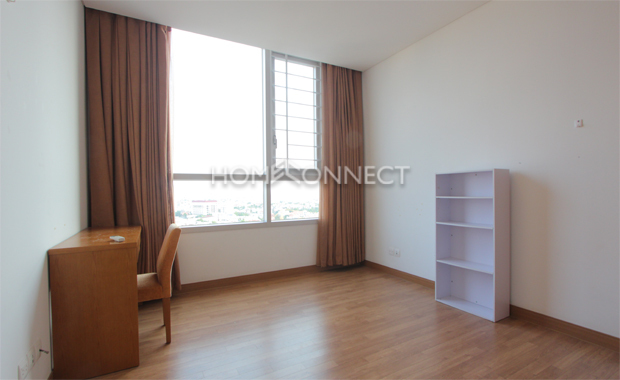 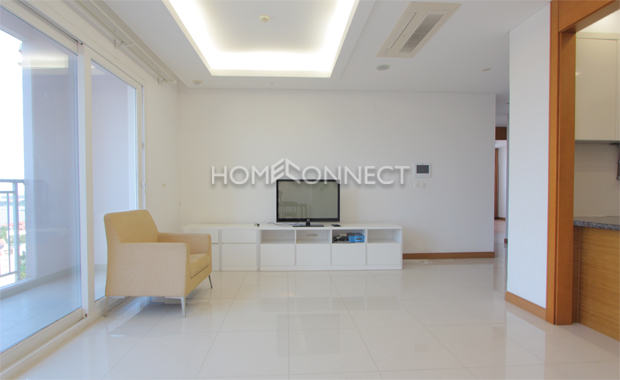 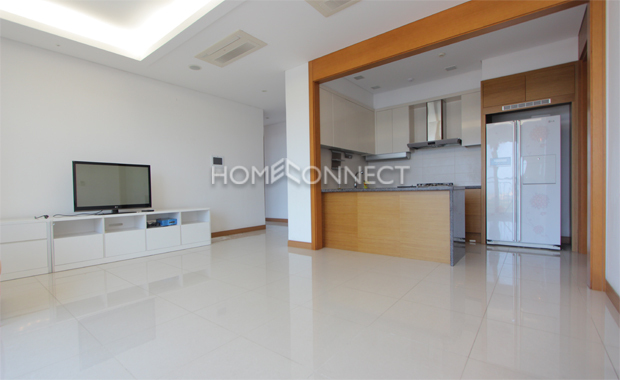 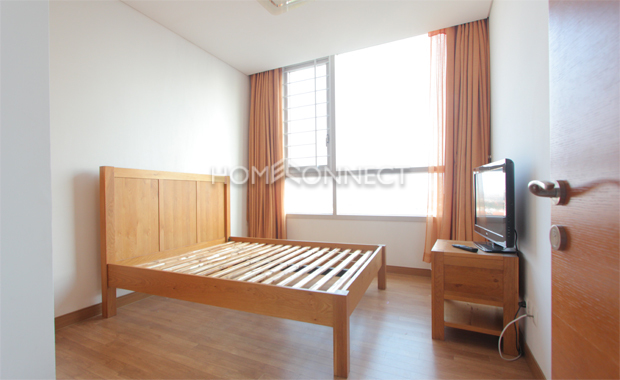 This clean Xi-Riverview condo for lease in Thao Dien is a three-bedroom and two bathroom unit in an exclusive high rise covering 145 square-meters in a superior living environment. 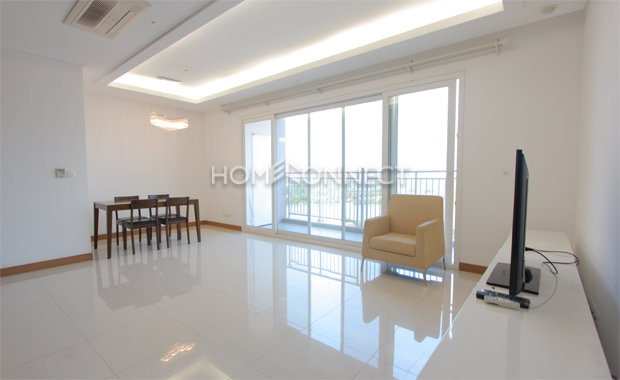 The open floor plan in this fully-furnished condominium is enclosed in a wall of glass window that opens to a spectacular view. 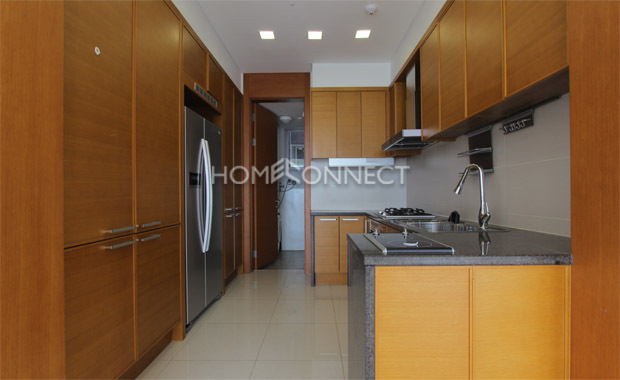 The open kitchen is patent of the interior design with top of the line fixtures and appliances such as marble countertop, stove, hood, and baking oven. 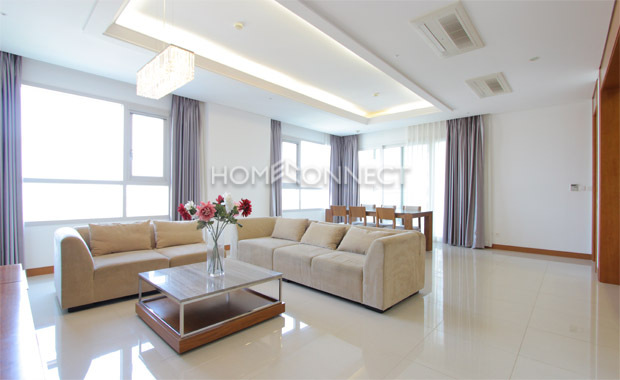 The large bedrooms with glass paneled walls are fitted with built-in closets, various size beds and furniture while the bathrooms are completed with glamour sinks, showers, and bathtubs. 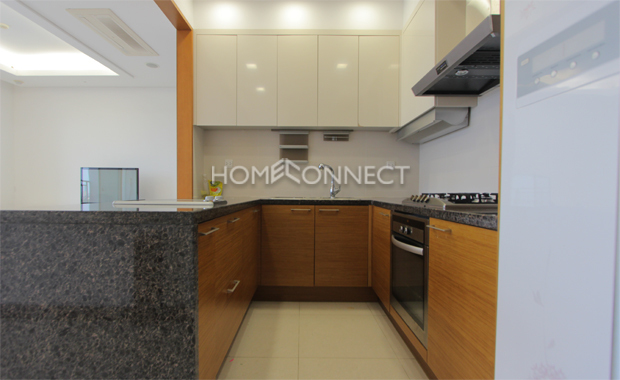 Facilities include kids’ playground, golf putting area, tennis courts, colossal size swimming pool, fitness facility, mini mart, pizzeria, indoor-outdoor parking and 24/7 security. 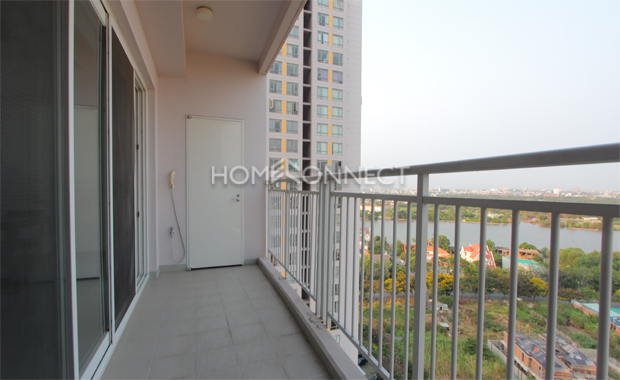 Location of this clean Xi-Riverview condo for lease in Thao Dien is the midst of many retail shops, local and international cuisines, spas, coffee houses, medical clinics, and international schools. 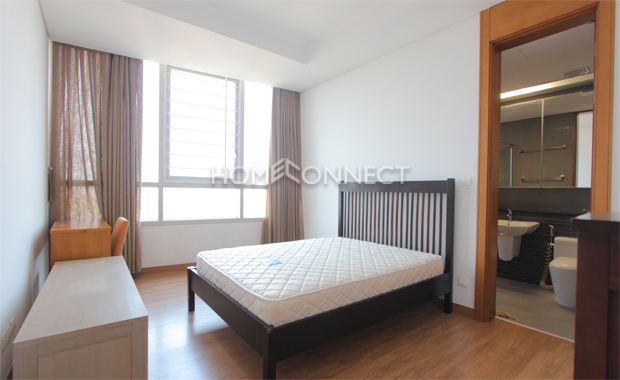 A 15-minute ride is all it takes to the central business district.